Life on a ranch is full of surprises. Many people might be surprised at the things women ranchers have to buck up and do, from operating chain saws to fixing flats, to wrangling animals into pens, pastures, and pickups. Even though the work never ends, the rewards are many. 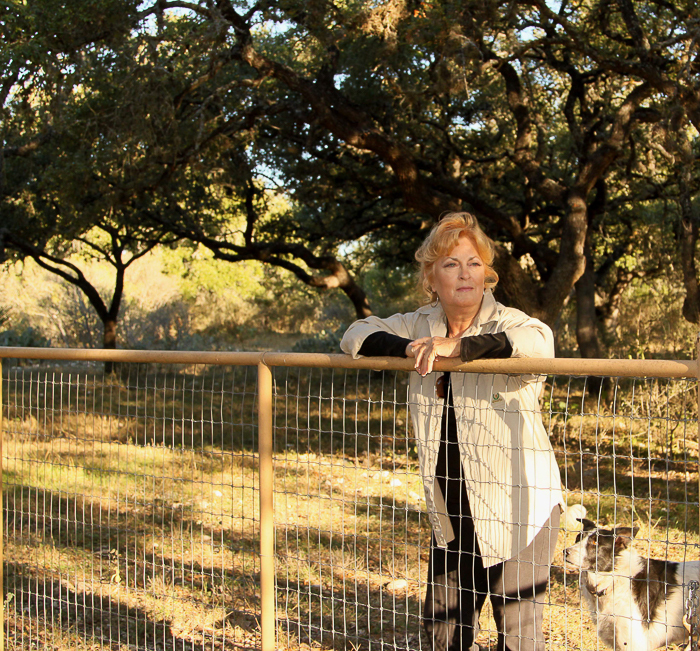 Recently I interviewed Carol Knutson, a woman who always wanted a ranch and finally, one day she was able to purchase her own. Here’s a glimpse into what life back at the ranch is like. A version of this article appeared in Texas Wildlife magazine. Texas Wildlife Association is a nonprofit that works to conserve wildlife in the state of Texas. They host educational programs for kids, land owners, and women and do great work! One of the highlights of my life in the outdoor blogging, conservation, and ranching world has been the chance to meet people from across Texas who ranch, work on interesting conservation projects, or simply love the land and believe in sharing their passion with others. You all are my kind of people! In particular, I’ve been amazed by the women I’ve met and the ambitious ranch work they take on. Their efforts “behind the gates” are impressive and not always glamorous. One such awe-inspiring woman is Carol Knutson, a Women of the Land graduate, decade-long TWA member, and what I call a modern-day outdoorswoman. 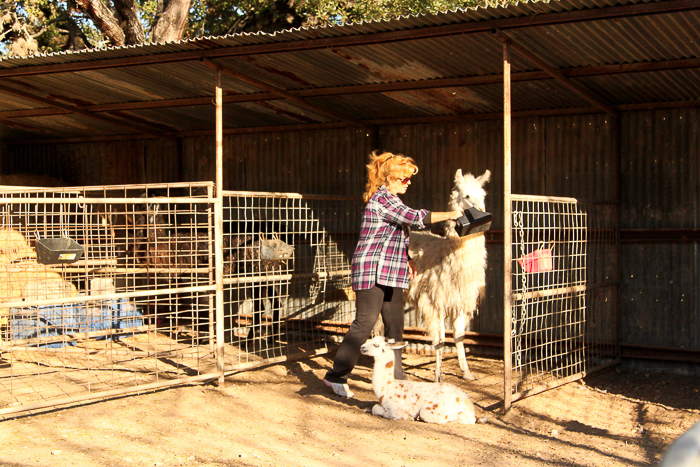 Knutson is the owner of the Muy Seco Ranch, approximately 350 acres of land near D’Hanis, Texas which she purchased in 2006. 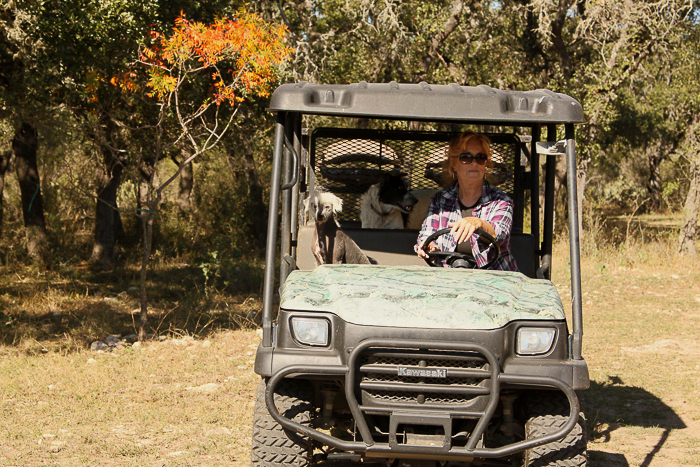 She has chickens, cattle, donkeys, llamas, and peacocks, and handles nearly all ranch chores on her own. What inspired you to own land? Ranching has always been a way of life for me. I grew up on my family’s ranch in Bandera County, and it’s where I raised my children. After my father passed away and I was on my own, I began looking to buy property. Do you still feel like you’re carrying on the family tradition now that you’re on a new ranch? When I sold the Bandera County ranch, I feared it was the end of the world. However the ten years I’ve spent on my D’Hanis land have been some of the happiest years of my life. What qualities were you looking for in a ranch when you purchased this one? I was looking for deep soil, good water, and land with potential to be productive. I wanted to be near where I grew up, and in an agrarian community. What were some of the first projects you tackled? Establishing permanent grasses on 160 acres for cattle was one of them. I’ve also worked to control mesquite, cross-fence pastures for rotational grazing, and improve roads. What has been the most difficult project you’ve undertaken? Laying hundreds of yards of water lines by hand was tough! Controlling mesquite is also a constant battle. What is your favorite work to do on the ranch? I love working in the pastures. Even though the work is dusty, I see wildlife I wouldn’t see in a 4-wheeler. Describe an average day at the Muy Seco Ranch. I start the day by going to the barn to see what has happened overnight, and dealing with that. Then I find what’s on the wrong side of the fence, and I put it back where it belongs. Then I see what’s running over, and I fix that. Then, I feed and turn animals out. Depending upon the time of year, I will either mow or get on the tractor. Something always has a flat, so there’s a lot of tires to be changed. I also plow and spray fields and monitor wildlife on game cameras. Prior to purchasing the ranch, what did you envision ranch ownership would be like? Has that image changed? I hoped it would be a dream come true, and it has been. How has ranching changed since when you were a kid? Back then, knowledge came from our elders and from trial and error. Now we can tap into resources using technology. From the field, I can reach my neighbors for help and search the internet for answers. It has helped me be even more resourceful. I’m looking for a new place in the Hill Country, and I’m excited about what’s to come. 4 Replies to "Modern Day Outdoorswoman: Carol Knutson"
Agreed! 🙂 You’re an inspiration Magretha! Carol is certainly a powerhouse full of drive and energy and is someone to be admired for what she does. Enjoyed this interview a lot!